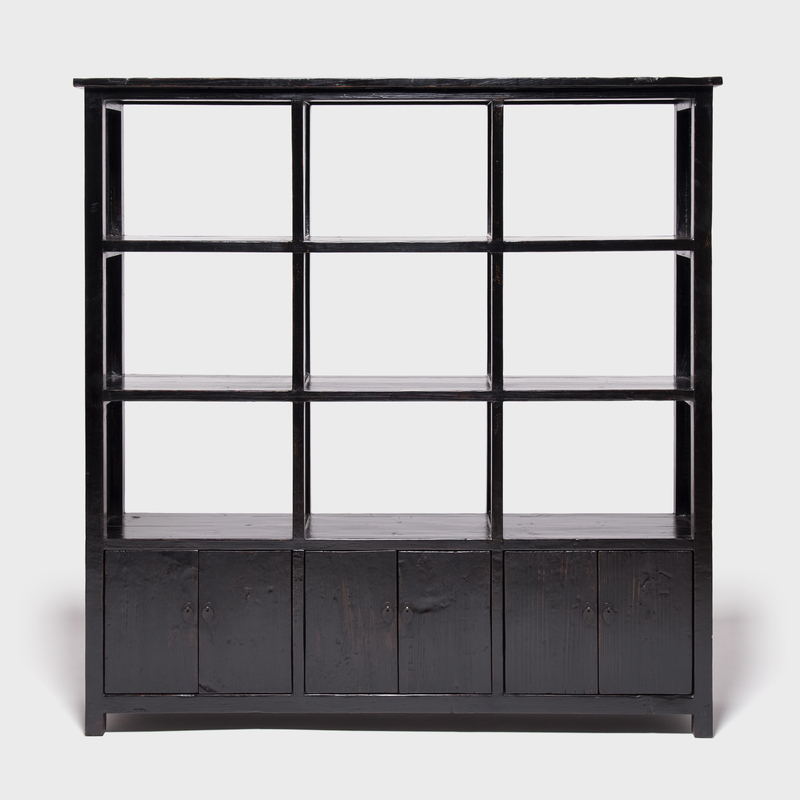 W: 68.75" D: 15.5" H: 68.75"
Resembling a contemporary modular bookcase or media center, this clean-lined storage case dates from 1900 when it also provided prime storage and display space. 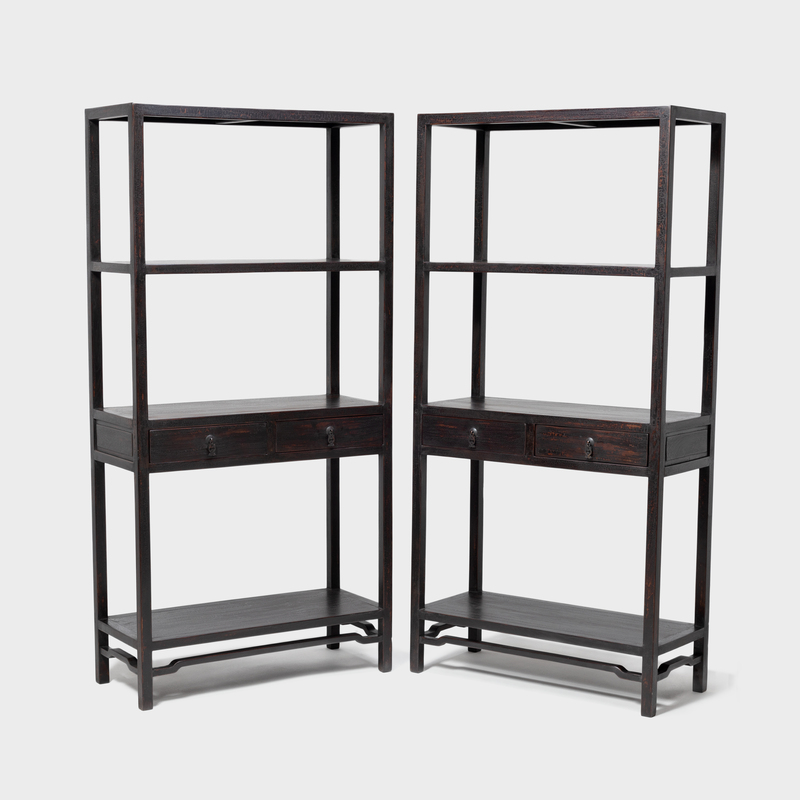 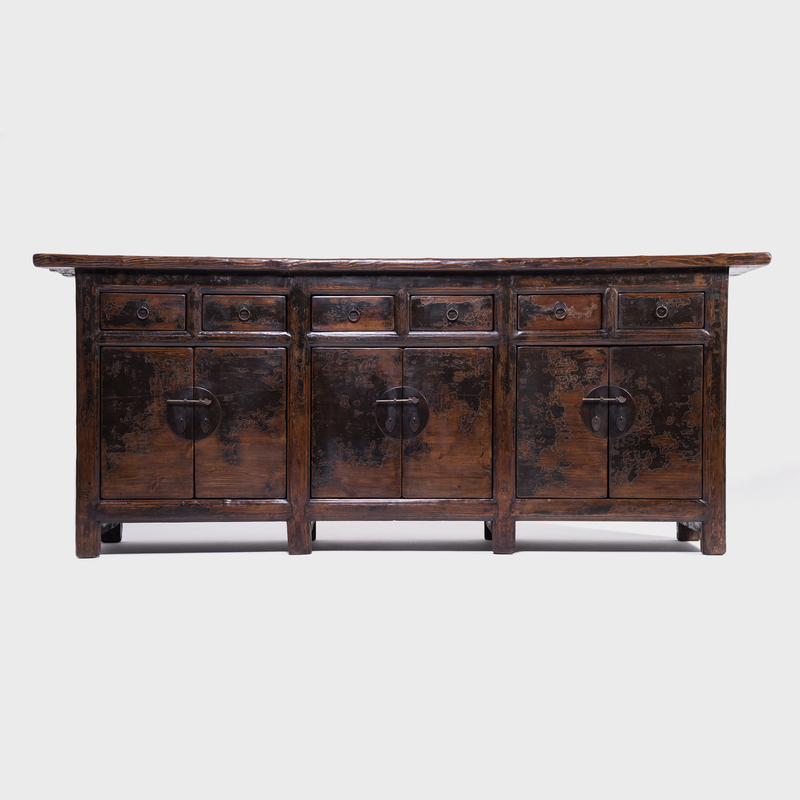 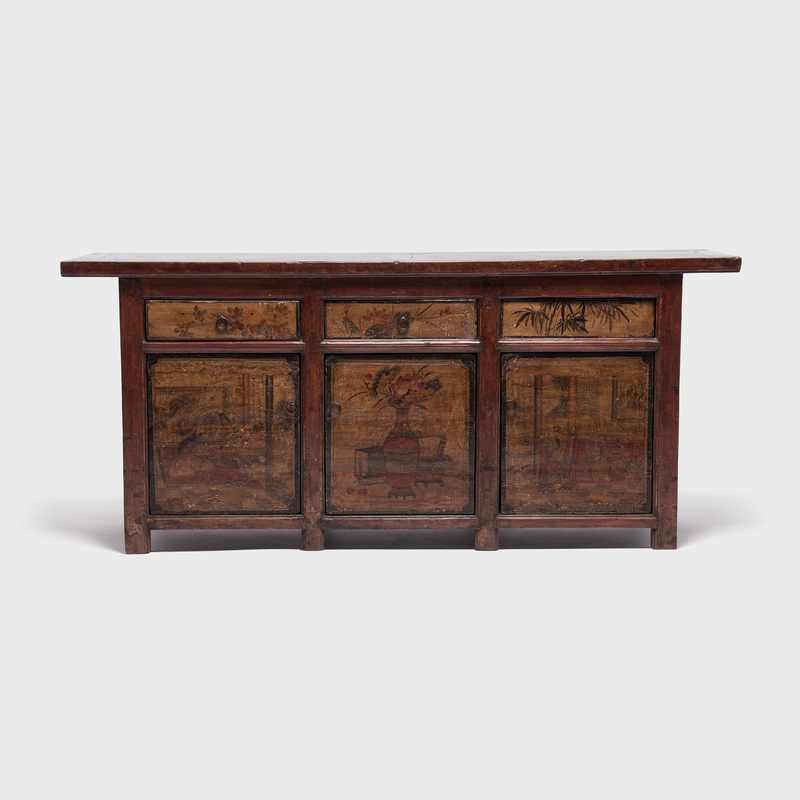 Made of lacquered pine that’s aged to a rich, deep brown patina, the bookcase may have once graced the library or studio of a wealthy government or scholar. 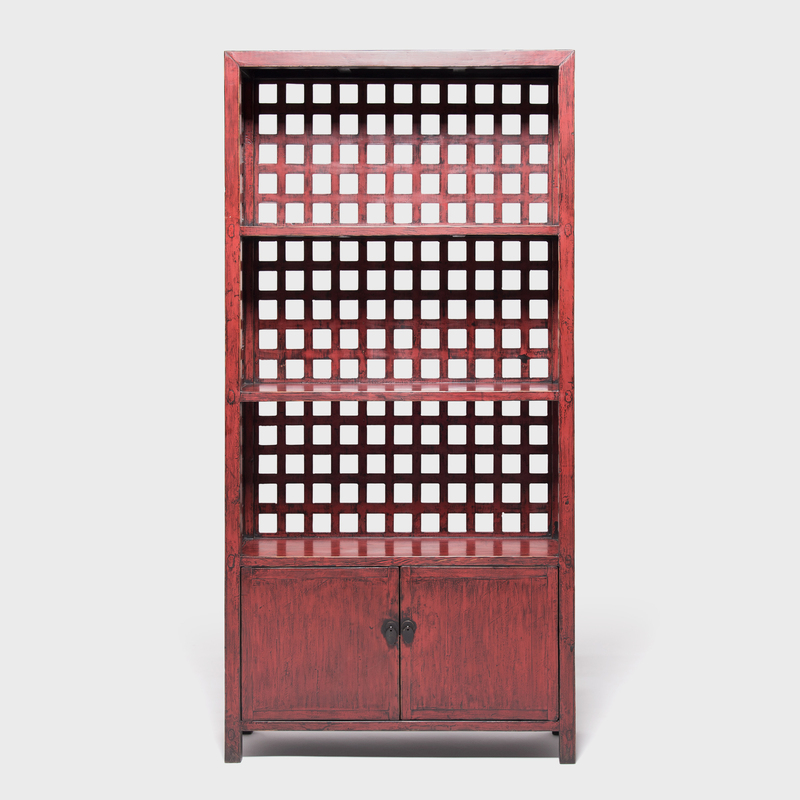 The grid of open shelves was ideal for a well-thought out display of prized artifacts, natural curiosities and precious antiques, while the lower cabinets may have housed scrolls, books, and calligraphy supplies.